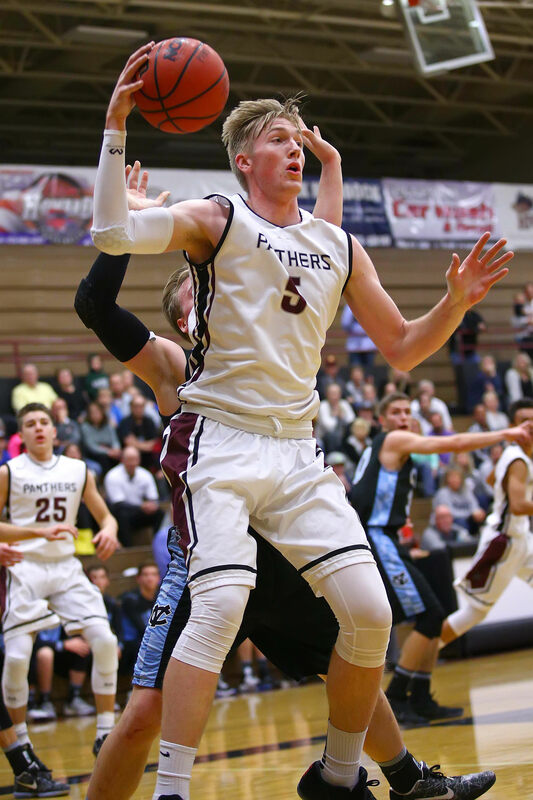 ST. GEORGE – Logan Hokanson, who led the Desert Hills Thunder to a 9-1 region record and a fourth-place finish at State, was named as the Region 9 boys basketball most valuable player Friday morning. Region 9’s coaches met this week and voted for the all-region teams, with DH’s Jake Mathews and Tanner Turley joining Hokanson on the first team. 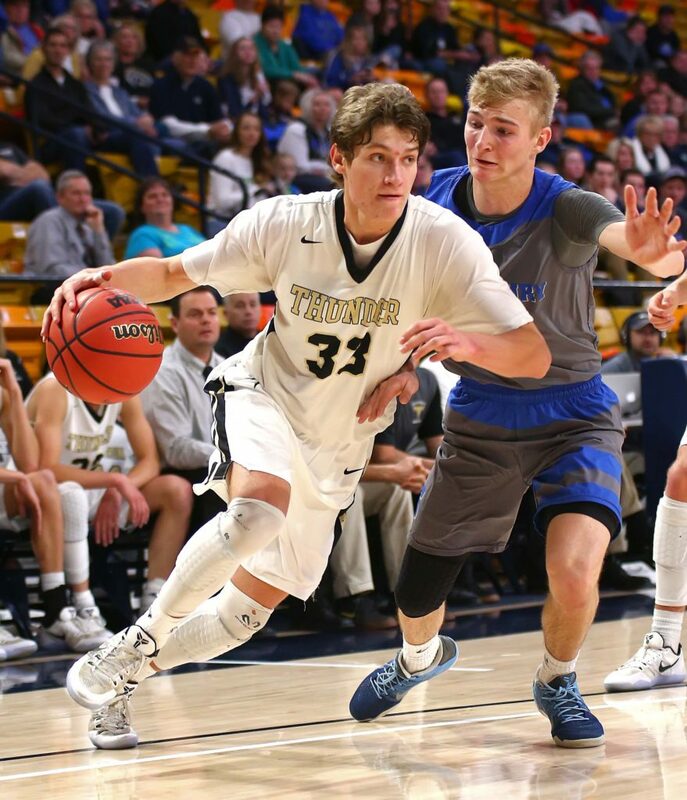 Desert Hills secured the region title by splitting two games with second-place Dixie and sweeping third-place Pine View, including a double-overtime win on the last night pf the regular season. 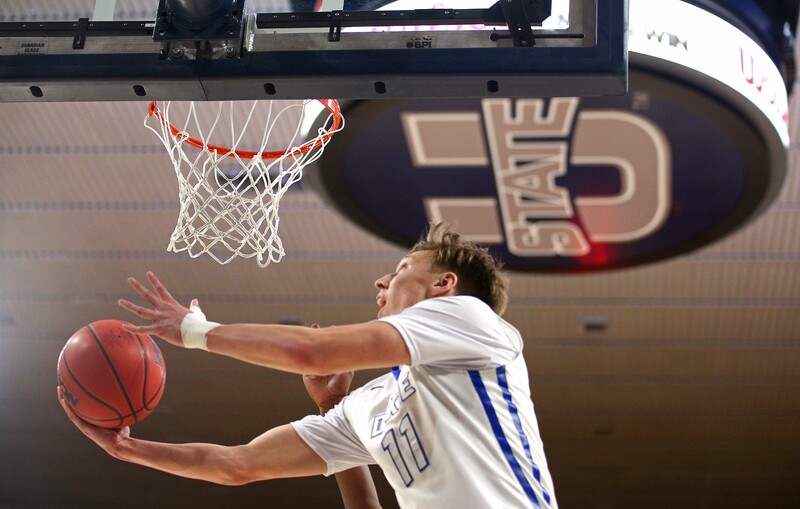 Hokanson averaged 16.9 points, 3.4 assists and 2.0 steals per game this season, despite coming off a severe ankle injury sustained in the 3AA state championship game in football. Mathews and Turley were also integral parts of the Thunder’s run to the region title. 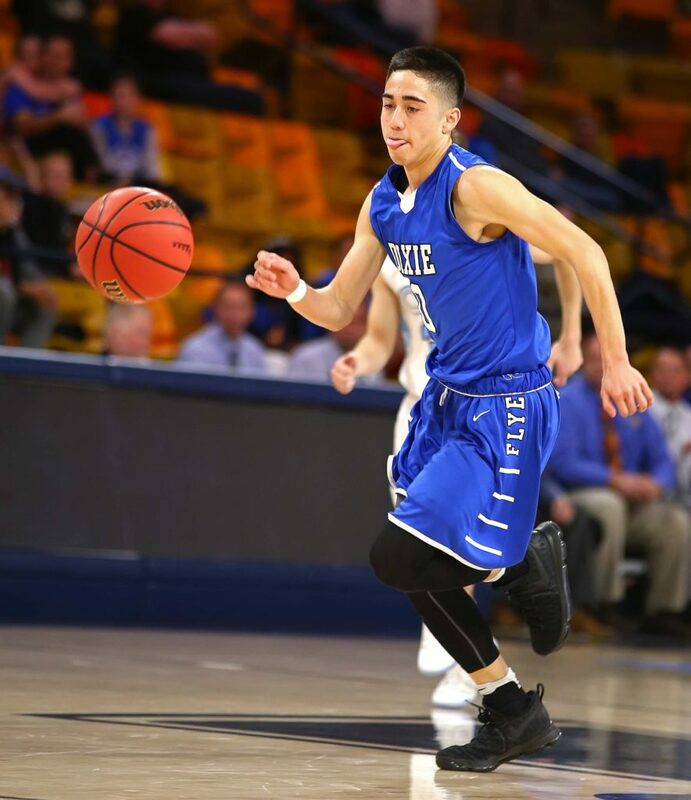 Mathews carried the bulk of the scoring load when Hokanson was injured and ended up averaging 10.1 points, 2.8 assists and 1.6 steals per game. 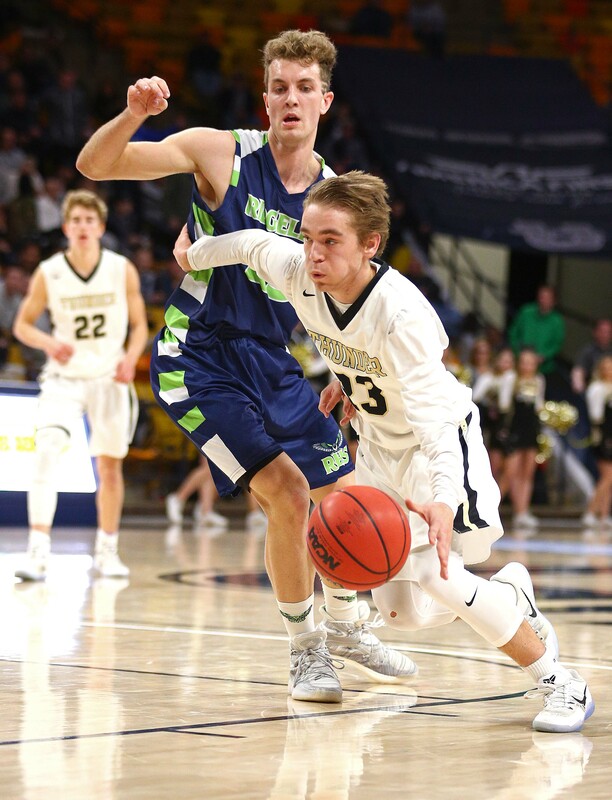 Turley, who played every position on the floor during the course of the year, averaged 8.6 points, 5.5 rebounds and 2.8 assists per game for Desert Hills. 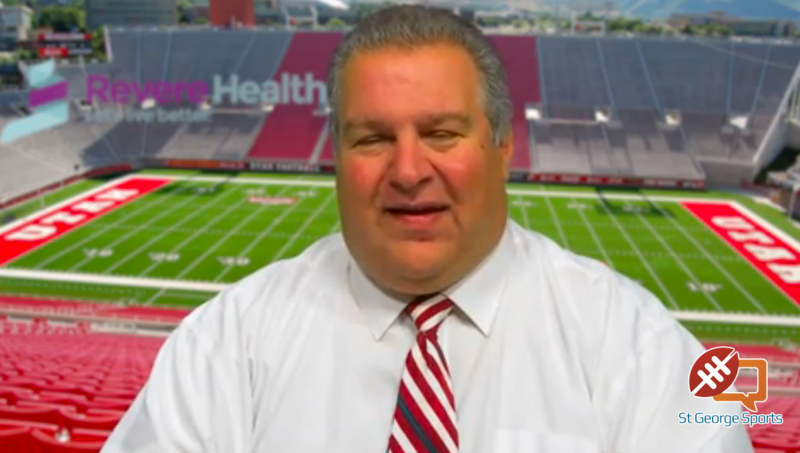 The other first teamers as selected by the coaches were Richard Guymon and Ty Curtis of Dixie, Trey Farrer of Pine View and Josh Parker of Hurricane. Guymon, the 6-foot-7 center for the second-place Flyers, averaged 11 points and seven rebounds, plus was a fierce rim protector. with 3.1 blocked shots per game. He also dished out 1.9 assists a game. Curtis, the speedy Dixie guard, was integral to the Flyers’ successful season and had a line of 8.0 points, 4.6 rebounds, 4.2 assists and 1.9 steals per game. 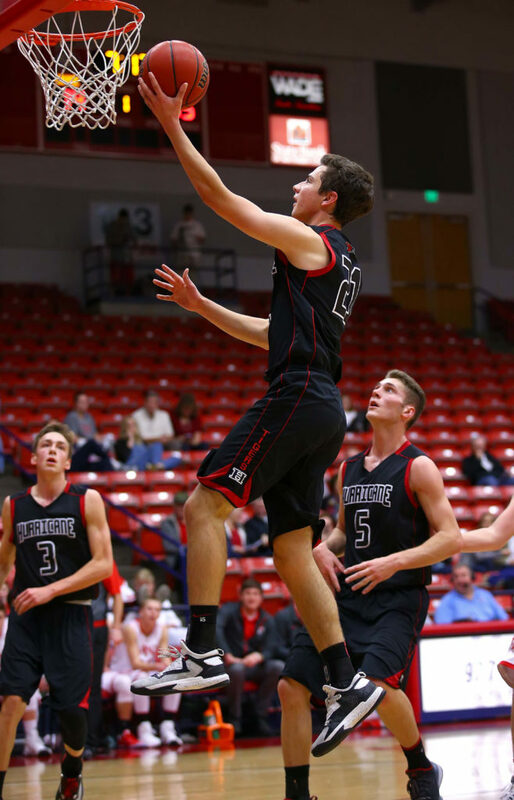 Panther Trey Farrer was the top big man, scoring-wise, in the state of Utah. The 6-foot-7 center averaged 18.3 points, 8.6 rebounds and 2.7 blocks per game for Pine View. Hurricane’s Josh Parker was one for the top long-distance shooters in the state. The 6-2 guard made 53 3-pointers on the year and averaged 16.5 points a game for the fourth-place Tigers. 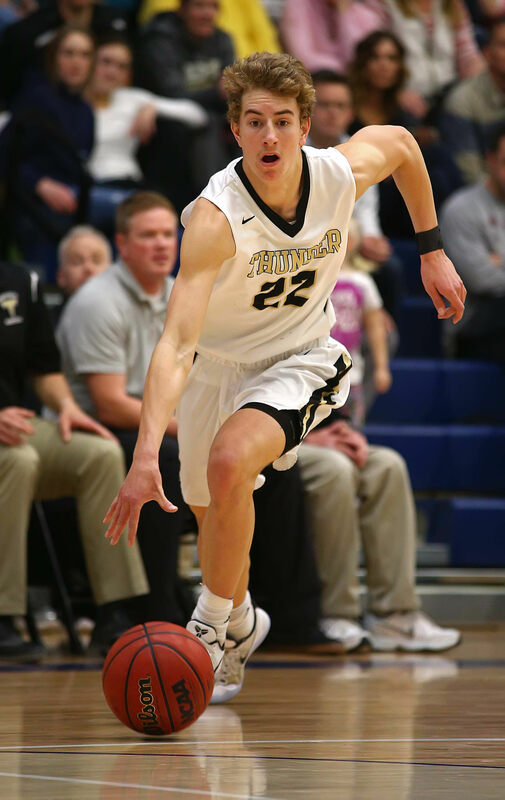 The coaches named eight players to the all-region second team, including Desert Hills’ Braxton Porter (7.o ppg, 5.3 rpg) and Cameron Clayton (8.2 ppg, 3.3 rpg), Dixie’s Kaden Elzy (12.0 ppg, 3.0 apg) and Sam Stewart (9.1 ppg, 3.5 rpg), Pine View’s Kade Moore (8.3 ppg, 2.3 apg), Hurricane’s Jackson Last (14.8 ppg, 4.1 rpg, 3.2 apg), Cedar’s Keenan Nielson (19.5 ppg, 4.1 rpg, 2.1 apg) and Snow Canyon’s Braden Baker (15.2 ppg, 4.1 rpg). Receiving Honorable Mention from the coaches were DH’s Tyler Marz, Dixie’s Kannen Dye, PV’s Dylan Hendrickson and McKay Lambert, Hurricane’s Nate Ben and Reagan Marshall, Cedar’s Parker Haynie and Mason Fakahua, and Snow Canyon Christian Sullivan and Cade Thorkelson.